Doors: 8:15pm. Admission: £12. Age restrictions: All Ages. Box office: 01252793430. Address: Bridge Sq, GU9 7QR. British Blues Award winning band Catfish have established a great reputation for themselves based on their electrifying live performances, fronted by phenomenal guitarist and singer Matt Long. ‘Catfish are one of the finest live bands in Britain today. The quality of musicianship is outstanding and in Matt Long, they have one of the greatest young guitarists on the scene today…’ Blues Matters Magazine. Doors 8.15 pm for a 9.00 pm start. Robin is a seasoned professional and one of the finest blues guitarists in London – artists he has backed include Robert Plant, Jimmy Page and Ben E King. Blues, funk, soul and rock are all rolled together in The Robin Bibi Band’s own concoction. It’s exuberant passionate, dynamic, exciting and fun! Doors open 8.15 pm for a 9.00 pm start. One of the most original, innovative and exciting bands around, The Spikedrivers’ combination of gutsy slide guitar, rock-solid bass, infectious grooves and highly distinctive vocals create a sound that is uniquely their own. ‘If you have not seen them you simply must!’ Blues in Britain. Since being formed by brothers Andrew & Jamie Pipe in late 2008, award winning British rock band The Mentulls have carved out a niche for themselves on the international blues rock scene. Hailing from the north east of England, The Mentulls carry on that great tradition of classic blues rock music in an eclectic and original way. Now, in 2019 after a short break away from the live arena Andrew, Jamie and longtime drummer Nick Colman are joined on vocals by David Neil Crabtree, who brings a new soulful dimension to the band. Sin House is a collaboration between legendary blues singer and harp player Stevie Smith (ex Ruthless Blues) and guitarist Steve Smith (ex Hot Club, Dumpy’s Rusty Nuts, etc.) Back together after two decades, the band combines great musicianship with oodles of charisma and fun. Powerful singer Val Cowell and ace guitarist Richard Hayes lead the band through an intoxicating cocktail of blues/rock, with a super tight rhythm section. 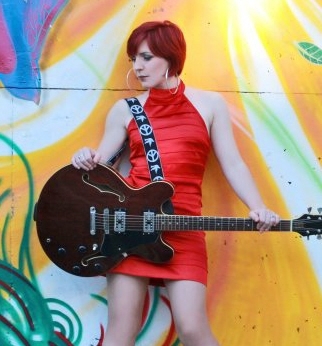 Val is without doubt one of the finest female singers on the European blues scene as well as being a great rhythm guitarist. Doors: 8:15pm. Admission: £14. Age restrictions: All Ages. Box office: 01252793430. Address: Bridge Sq, GU9 7QR. 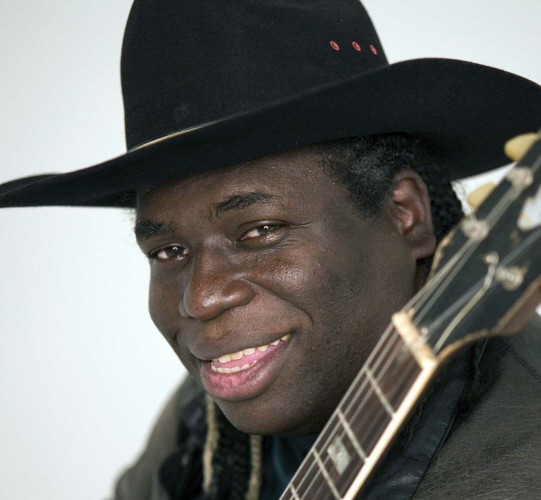 Born in 1963, the son of the blues guitarist ‘Hideaway’ Slim, Eugene ‘Hideaway’ Bridges is the fourth child of five. He has played with his father from the age of five and sung gospel with his brothers under the name of The Bridges Brothers. 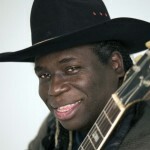 Since forming his own band, Eugene has been awarded vocalist of the year by the UK’s Blueprint magazine and Trophees France Blues ‘99 – Chanteur De L’Annee. At The Maltings this will be a rare opportunity to see Eugene’s solo show. Described by ‘BluesBlast’ as a ‘triple threat’: ‘he sings like Sam Cooke, plays guitar like BB King and is a prolific writer’. Doors: 8:15pm. Admission: £14. Age restrictions: All Ages. Box office: 01252 793430. Address: Bridge Sq, GU9 7QR. It was over 25 years and thirteen albums ago that the Producers first appeared on the UK music scene and since then they have gigged their version of the blues in clubs, theatres and on major festival stages worldwide and they continue to do so. The development of the band over that time has seen seven line-up changes but the founders of the band, Harry Skinner and Dave Saunders remain in place and the latest and longest incarnation (now ten years old) features Ray Drury (keys) and Biff Smith (drums). A fabulous band! Doors: 8:15pm. Admission: £15. Age restrictions: All Ages. Box office: 01252 793430. Address: Bridge Sq, GU9 7QR. Aynsley Lister is an incredible guitarist whose brand of blues-based rock delivers contemporary song writing fuelled with the kind of heart and soul that’s missing from so much modern music. Whether passionately writing and recording his own material or mesmerising audiences at his live shows, one thing is abundantly clear: music is hard-wired to his DNA and flows from his fingertips like sonic bolts of lightning. With over 86,000 albums sold, lashings of critical acclaim and years of high profile touring, Lister’s resumé speaks for itself and firmly secures his position as a leading light in the resurgence of British blues-infused music. Aynsley Lister’s shows at The Maltings are always a sell-out. 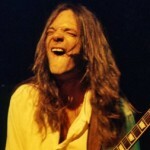 Not surprising given his superb guitar playing, excellent vocals, great choice of material and top band! Ben is an acknowledged master of the boogie-woogie piano, and a charismatic performer with a great ‘feel’ for the music. As well as a talented pianist and singer he is also a great entertainer with the emphasis on FUN! Ben has worked with The Rolling Stones, Ray Davies, Chuck Berry, Jools Holland, Jerry Lee Lewis, Shakin’ Stevens, Screaming Lord Sutch, PJ Harvey, Amy Macdonald, Bobby Womack, Mick Hucknall, Charlie Watts, The Ronnie Wood Band, Paul Weller, Dave Gilmore, Dave Stewart, The Teenagers, Nine Below Zero….and more! Ben has announced that he will stop gigging this November, so make sure you catch him at The Maltings! Doors: 8:15pm. Admission: £12. Age restrictions: All Ages. Box office: 01252 793430. Address: Bridge Sq, GU9 7QR. Award-winning blues-rock from the Luke Doherty Band, making their debut at The Maltings. Band leader guitarist Luke Doherty is joined by veteran blues harp player and singer Paul Morgan, Simon Parratt on drums and Mal Preest on bass. Marcus Praestgaard-Stevens is an amazing young guitarist, with a talent and musical maturity well beyond his years. 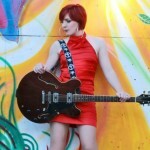 Hall of Fame guitarist Norman Beaker says ‘Brilliant a real talent for any age’. Tonight Marcus will be at Farnham Maltings with his fabulous band featuring the amazing vocals of Alice Armstrong and a rock-solid rhythm section of bass player Eddie Masters and Graham walker on drums. Ticket reservations recommended. Inspired by the Blues, infused with a hard hitting ‘in yer face’ rock approach and topped-off by virtuoso musicianship, guitarist, singer and songwriter Ben Poole has made a great name for himself on the European blues scene. Geoff Achison is an award winning singer, songwriter and guitarist from Australia known for his high energy live performances and incredible guitar playing. Geoff’s music has been compared favourably to Eric Clapton and the Allman Brothers having a solid foundation in the blues whilst embracing a variety of electric & acoustic styles. 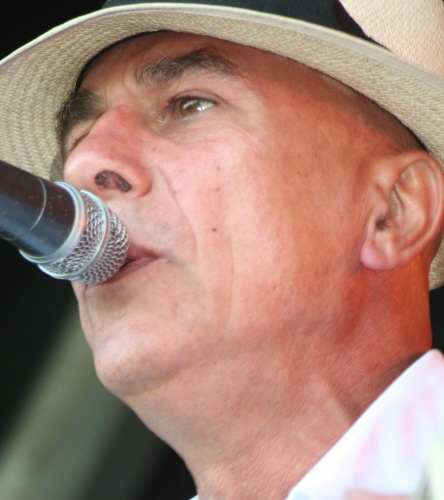 He has won awards for his guitar playing, songwriting and live performances and was honoured in 2011 as official Patron Of the Melbourne Blues Appreciation Society. For this gig Geoff will be with The UK Souldiggers, comprising award-winning drummer Sam Kelly, keyboard wizard Paul Jobson and bass player Andy Hodge. Busted Loose (aka The Monday Band) are the lengendary band fronted by two of the most experienced and respected singer/guitarists on the blues and R&B circuit. PAPA GEORGE (UK & USA Blues Artist Award winner) and STEVE SIMPSON (Slim Chance, Meal Ticket) have fronted the band for over 25 years, always with a top-class rhythm section including PETE STROUD on bass and BRENDAN O’NEILL on drums. Playing from a back catalogue of songs from their own CDs plus their own versions of classics from Ry Cooder, Little Feat, Howlin’ Wolf, ZZ Top and more. ‘Contemporary Blues At It’s Best’. An extra special night with this Blues ‘Super Group’ featuring superb singer and rhythm guitarist Val Cowell, stunning slide guitarist Richard Hayes (Bad Influence), singer and guitarist Papa George and Pete Stroud (Splinter Group, Papa George, Bad Influence) on bass, plus Mick Clews on drums. A fabulous line-up with great chemistry and unbeatable musicianship! Regarded as one of the UK’s finest proponents of rocking blues, this is a rare chance to see stunning guitarist, singer and songwriter Aynsley Lister up close and personal. Aynsley’s solo performances are the perfect platform to witness his amazing ability to sync rhythmical chords, bass lines and lead guitar whilst singing and accompanying it himself with his custom-built stomp box. 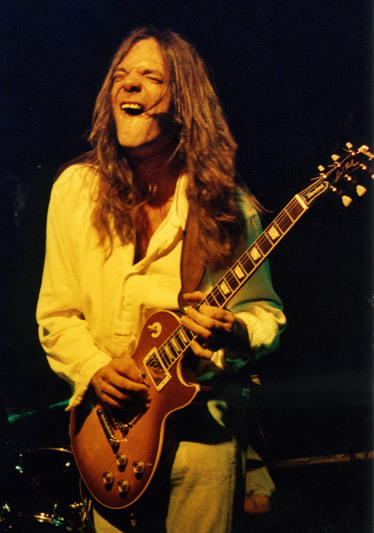 After live sessions for BBC Radio 2′s Bob Harris and Paul Jones and performances alongside the likes of Buddy Guy, John Mayall and Robert Cray, Aynsley became the only British artist to be featured in Classic Rock’s Top 10 Contemporary Blues Rock Artists. 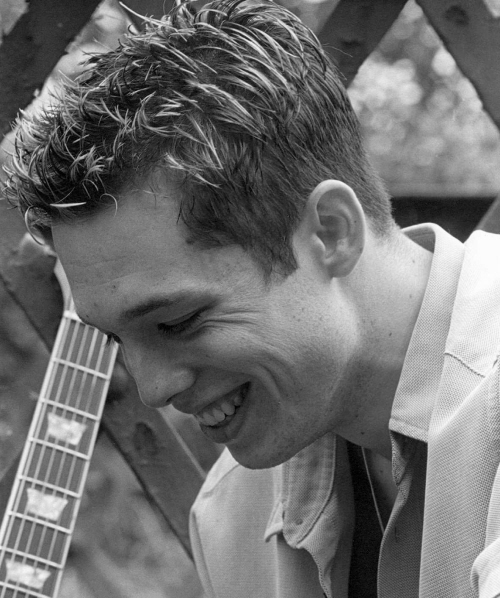 We welcome American Guitarist, Tommy Harkenrider to The Maltings as part of his UK tour. 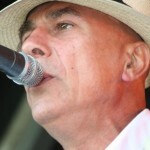 Tommy delivers an eclectic mix of rhythm and blues, country and early jazz. Along with The Orange County Rockets he never disappoints audiences due to the band’s dynamic stage performances and great musicianship. When called to duty they lay it down! Don’t miss this rare opportunity to see this band! SAM KELLY’S STATION HOUSE has been featuring on the U.K. music scene for many years. Originating from London’s “Station Tavern” in the early nineties, Station House was formed from the concept of an all-black blues band, mixing instinctive funk/soul rhythms with the diversity of the blues. Today’s line-up has moved away from that concept while keeping it’s groove, with Paul Jobson on keys, Tony Qunta on lead guitar, Richard Sadler on upright bass, Jerome Marcus on percussion and of course the one-and-only Sam Kelly on drums. A great band! If you like your blues funky, rocking, swinging, slow and emotionally-charged played across a mix of reworked classics and originals then you are sure to love this band. A guitar/Hammond driven 4-piece delivered with superb musicianship… With Steve Roux on guitar/vocals, Bernie Fox on drums, Ray Drury on keys and Steve Browning on bass. A stunning line-up!. Doors: 8:15pm. Admission: £14. Age restrictions: All Ages. Box office: 01252 793430. Address: Bridge Sq, GU9 7QR. ,br>We’re excited to bring you a new show featuring The Spikedrivers, Fran McGillivray and Mike Burke. Blues and gospel, despite their obvious differences, have always been linked. Inspired by all these rich influences, Ben Tyzack, Constance Redgrave & Maurice McElroy from the Spikedrivers with Fran McGillivray and Mike Burke present Saints & Sinners, a concert exploring the space and harmony between spiritual music and ‘the devil’s blues’. Five voices, a multitude of guitars, percussion & even some homemade instruments create a world of soul, stories and soundscapes. Join us for a foot-stomping, gut-wrenching, heart-soaring journey from the cross to the crossroads .and all points in-between. Aynsley Lister is an incredible guitarist whose brand of blues-based rock delivers contemporary song writing fuelled with the kind of heart and soul that’s missing from so much modern music. Whether passionately writing and recording his own material or mesmerising audiences at his live shows, one thing is abundantly clear: music is hard-wired to his DNA and flows from his fingertips like sonic bolts of lightning. With over 86,000 albums sold, lashings of critical acclaim and years of high profile touring, Lister’s resumé speaks for itself and firmly secures his position as a leading light in the resurgence of British blues-infused music. Aynsley Lister’s shows at The Maltings are always a sell-out. Not surprising given his superb guitar playing, excellent vocals, great choice of material and top band! 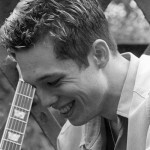 Fabulous guitarist and singer Oli Brown has won awards for his albums, band, vocals and stunning guitar virtuosity. He’s also a great band leader and a truly charismatic stage performer. His performances at Farnham Maltings have been fabulous, so don’t miss out! Don’t know Oli Brown – click here. Ticket reservations recommended.